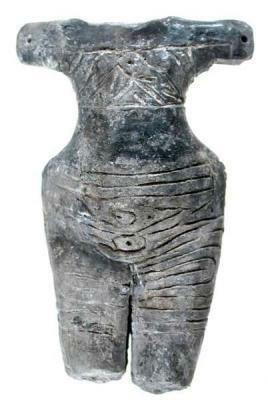 The earliest traces of human presence in the Varna region date back to the Early Paleolithic Age (about 100 000 BC). In the museum exposition the period is illustrated by Middle Paleolithic flint tools, found mostly during the construction of plants in the valley of river Devnia. Late Paleolithic age is represented by additional flint tools and artifacts, found during excavations in the locality Pobitite kamani. The so-called Little Cave, near the village of Beloslav is studied and in addition to flint tools have been found bones of animals, hunted by people back in the ages. Maesolithic age findings have important place in regional history, especially those found in the locality Pobitite kamani near Varna – the only archeological site dating back to Middle Paleolithic Age (about 10000–7000 BC) on Bulgarian territory. These artifacts are so called flint microlithes – testimony that man was well aware of tool parts, produced of small flint pieces and other material – wood, bones et other. Some flint pieces have been used as arrows tops. During the Eneolithic Age (Vth millennium BC) local populations enter into new stage of development, due to mastering metallurgy of copper and gold, as well as increased commercial contacts with neighbors both north and south and use of maritime routes on the seashore as transportation routes. Eneolithic Age is studied in Varna territory on several sites. From the Early Eneolithic Age (first half of Vth millennium BC) date housing layers of inhabited areas near the villages Golyamo Delchevo and Sava, both represented in the museum exposition by tools made of stone, bones and horns, as well as clay and bone made anthropomorphic and zoomorphic figures, as well as several ceramic utensils with cut-in lines. The Middle Eneolithic Age (4500–4000 BC) is illustrated by findings from the settlement near Suvorovo, the settlement in the locality “Batareyata” near Vinitsa, from settlements near the villages of Levski, Golyamo Delchevo and Sava.Among the ceramics findings dated this age are found many hollow stands in form of four angled parallelepiped, standing on high legs bowls with bended outside edges and many similar. 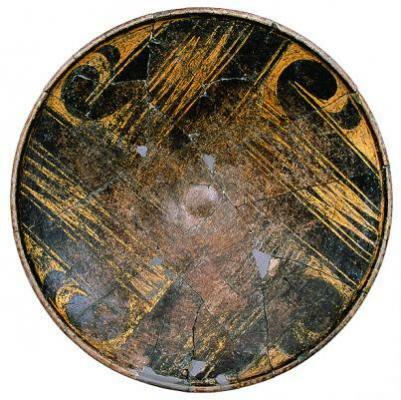 Most frequently the utensils are decorated with stamped ornaments, applied by seals made of mussels with broken angles. Specific place have three tombs excavated in the north shore of the Varna lake and containing valuable artifacts about initial social differentiation among local populace. In one of these tombs have been found about 1 000 objects, among which 31 golden pieces of necklace, representing the oldest worked gold pieces on earth up to present day. The prehistoric society on the Balkans flourishes during late Halcolitic Age (4400–4200 BC). The tribes populating the region of Varna flourish during the period as well. One of the most important Late Eneolithic Centers of this highly developed society was located south of present day Varna – so called lake settlements, being under the water of the Varna lake and represented in the museum exposition by numerous ceramic utensils, decorated with graphic paint, tools of bone, stone, flint and horn, as well as numerous religious-related objects. However, the most important monument excavated from this age is the world-famous Eneolithic Necropolis – Varna, exhibited in three separate museum exposition halls. It has been accidentally found during construction works in western industrial zone – Varna in 1972 and soon turned into sensational scientific discovery with break-through importance well over the borders of prehistory of contemporary Bulgarian territory. The studies completed until now (excavations are still not completed – about 30% of estimated necropolis area are still not excavated) have discovered 294 tombs. In 57 tombs there is no human skeleton and only three contain the largest part of gold objects and the best other findings. Specific feature of these tombs are the warders or scepters – symbols of high rank state or spiritual power. Three tombs contain 3D human face made of clay and on specific places on the face – front, eyes, mouth, ears – are placed as applications gold objects. 99 tombs contain skeletons laid straight on their backs. Most of these are men’s tombs. One tomb is clearly distinctive – being of a man of age 45–50, most probably chief or priest, who is extremely rich – the tomb contains over 1,5 kg. gold objects, many copper and stone tools, ornaments and other valuable objects. The presence of scepter and other findings in this tomb, make it very comparable and similar to the richest of all symbolic tombs – № 4. In 67 tombs the skeletons are laid aside in bended position – almost always on the right side. These are most frequently female tombs. In almost all remaining tombs the skeletons are not in form, highly displaced by later intrusions. The important place of the Varna necropolis is due not only by the variety of funeral practices, but as well to the richness and abundance of findings. 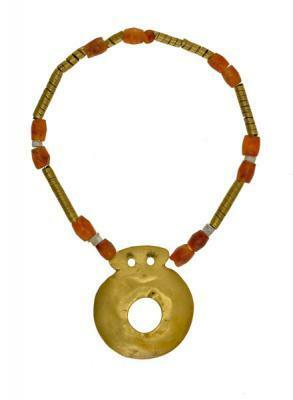 Only gold objects are more than 3 000 and weight in total well over 6 kg, with stunning variety – over 38 various types. The quantities of other artifacts found are very important too – there are over 160 copper tools; over 230 flint tools; almost 90 are made of stone or marble. Many shells of Mediterranean crustaceous Dentalium and Spondillus, out of which have been produced about 1 100 jewels – bracelets, necklace pieces and applications, have been found. 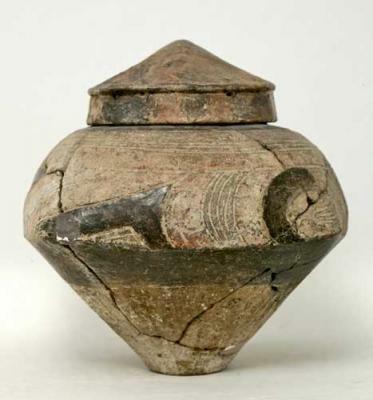 The ceramics – over 650 clay made utensils, is very often found in various tombs. Two utensils are very interested among the ceramics – these are painted with gold paint. The type, location and quantities of artifacts found in the Eneolithic necropolis – Varna and the significant network of sunk lake settlements, as well as additional facts, give grounds to conclude that within the region of the Varna lake, sometime during the Late Paleolithic Age was born the first European civilization. The quantity of gold found in the Eneolithic necropolis – Varna exceeds both in number and weight all prehistoric gold artifacts of the same age found all over the world. The significant number of metal objects dating back to Eneolithic age, indicates that by this time metal served for producing utilitarian objects. The ornaments made of Spondilus and Dentalium are sure indication for existing commercial contacts with the Mediterranean world. Again, taking into account the archeological findings in the region of Varna and the neighbouring territories, one may conclude that on the Black sea shore between Varna and Danube delta and the eastern Balkan mountain, the region flourished economically during the second half of the Vth millenmium BC, based on metallurgical development and intense commercial relationships. Obviously the lake settlements around Varna lake were the center of the region. The tombs in the Varna necropolis illustrate various social differences in material terms of buried people. Most probably this due to rise of social classes among local indigeneous population. By the end of Eneolithic Age the primitive society on the Balkan Peninsula disintegrates. This is a process related mostly to significant climate chages on the entire Europe territory, disrupting the influence of the Late Eneolithic society functioning in Varna region. After the fall of the Varna civilization follow a period of movement of large human masses, from east to west, under the pressure of steppe tribes. 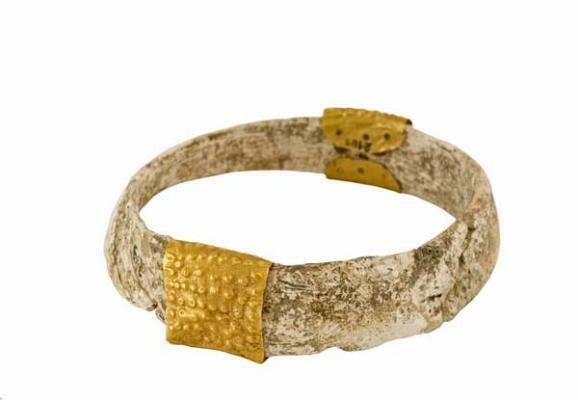 One of the most significant testimonies of the migration is a tomb, found accidentally near Devnia, where have been discovered many tops of arrows and spares, copper tools, necklace and 32 gold rings (most probably forming string and serving as bracelet). During the Bronze Age, dated between 3200 and 1100 BC, the Thracian population began to emerge and separate from surrounding tribes and populations. 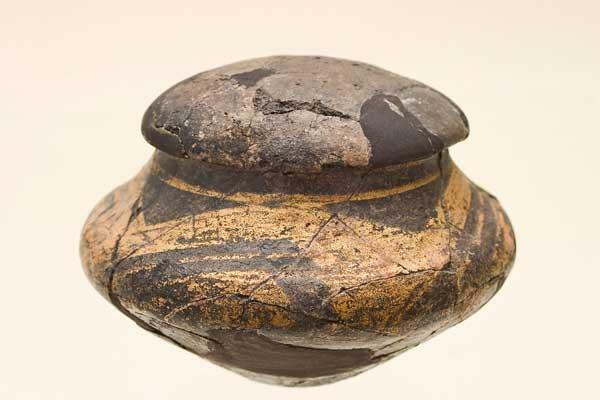 Most important findings, both in number and quality, dating to Early Bronze Age (3200–2500 BC) from the Varna region, have been discovered in the sunk lake settlements around the lake shore. 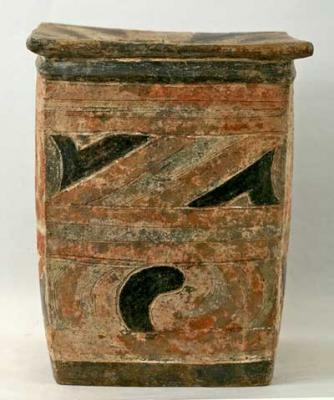 The ceramics artifacts consist of holds and cut edges, cups with high holds and askos. These are decorated mostly by cut and punched ornaments. Anthropomorphous and Zoomorphous objects disappear and the form of stone axes changes. Many preserved wooden objects have been found too. During the Early Bronze Age, the importance of Varna lake region as leading area for commercial and cultural interactions beween settled agricultural population and nomadic tribes, is testified by numerous findings. Near the Ezerovo village have been found many stone stele, representing schematic form of human body. Most scholars related the stele to nomads from the North Black sea steppes, who placed the monuments on tombs. 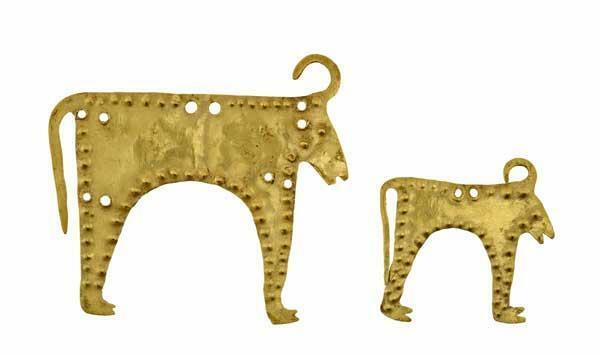 The Middle Bronze Age (2500–2100 BC) is almost lacking in artifacts found in Varna region, which allow some scholars to advance the hypothesis that a new movement of population started, including chages in settlement locations. 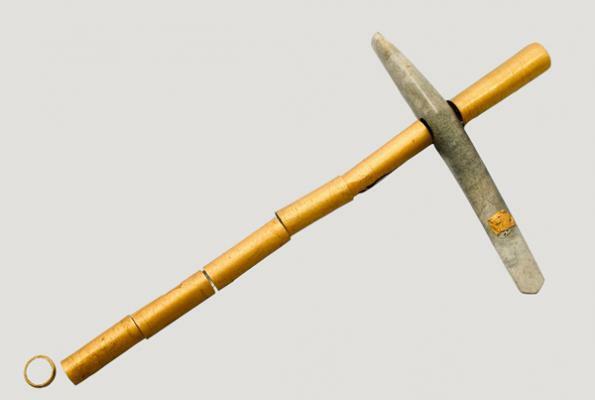 The artifacts of this age – mostly bronze tools – are very few in numbers and represent accidental findings. The Late Bronze Age (1600–1100 BC) in the region of Varna, as well as for the entire country, is connected to migrations of local tribes. New contacts due to migration processes are testified. >From this period are dated collective findings of bronze tools, found near the villagte of Suvorovo. 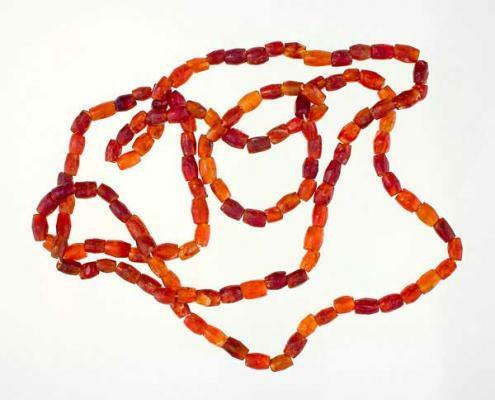 These “treasures” testify for uncertain age, related mostly to migration of human populations. 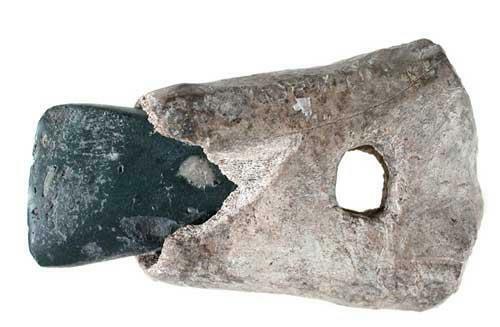 From the same age dates a sword found in the area of Cherkovna village. 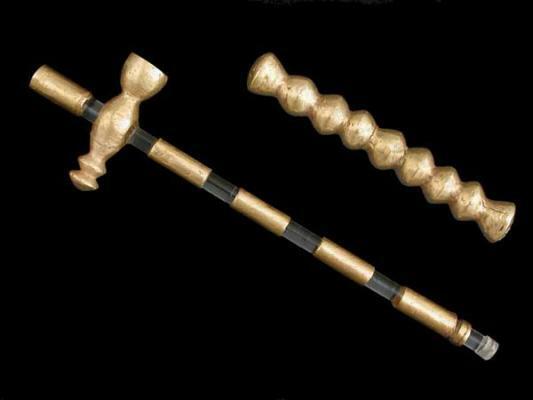 Its for allows to describe it as weapond produced in the region of Black sea steppes. By the time of beginning of Iron Age (Ist millennium BC) the ethnic formation of Thracians has been comp-leted and they are securtely established on the Balkan Peninsula. Some necrololises dating back to Early Iron age are excavated in the region of Varna and the artifacts found in the tombs – ceramic utensils, bronze and iron fibula, swords and war axes, testify for the original character of Thracian culture and active relationships with Anciane Greek colonists, settling on the Black sea coast from the end of 7th – beginning of 6th c. BC, founding many cities in the region.